a new kind of review blog: honest, unsolicited opinions on things I love. After much deliberation and then a fast impulse move, I’ve decided to focus my blogging efforts in one place for now. Look for me back at my personal blog, mommablogsalot, where you will find all the usual things I was blogging about here and MORE. I’m linking up again with the lovely Anne of Modern Mrs. Darcy and her monthly Twitterature roundup. The goal is super simple: share some quick reviews of the books you’ve read in the last month – twitterstyle. It doesn’t have to be 140 characters or less, but that’s a good guideline to shoot for. If you feel like #hashtagging, that’s fun, too! Dinah’s story is finally told – along with many others – hardships are faced (understatement), new cultures are adapted to as Dinah continually picks up the pieces of her life and starts anew. This book is one that will stay with me for a long time. Book six in a series. And you thought your family was a little crazy – the Spellmans continue to be my favorite fictional family, even when they are being totally insane. This book is kind of about hitting rock bottom and learning to pick up the pieces and be whole again. This is a hard book to judge fairly when you’ve already seen the Disney movie 800 times. There were parts I loved and parts I didn’t love either because I’m biased or because the movie was better? Not sure. I swear there were two chapters in this book that I’ve totally seen before – and they definitely weren’t in the movie but I knew them vividly and have no idea why. This morning I slipped and fell on the sidewalk on the way home from the bus stop and all I could think was, “Seriously? Again? I am so over this winter.” It was by far my least serious fall this winter but just…. I’m just so over it, you know? March feels like the longest month ever because February just sort of rolls into it at some point in a blurry moment of defeat and your pretty sure it has been March since like November at this point – and this week? Has there been a week this winter where I’ve said, “This week was awesome! I wish it wasn’t over already!! !” I think not. But luckily it is almost over, this week. While I attempt to make it through the rest of the afternoon without hurting myself, let’s talk about all the great distractions of the internet right now, shall we? I just discovered this new web series from the folks at Shipwrecked called Kissing in the Rain which stars Mary Kate Wiles aka The Lydia Bennet. Kissing in the Rain tells this story of two sets of actors who keep finding themselves kissing in the rain, all while grappling with their off-camera feelings between takes. It’s kind of amazing and there has only been one episode so far. But while I fell down that rabbit hole, I discovered the other webseries that Shipwrecked has done, A Tell Tale Vlog, and it’s kind of amazing. I’m officially hooked on the world of webseries, especially when they are based on famous literature. Particularly The Lizzie Bennet Diaries and Emma Approved are both excellent for killing a long afternoon that feels like it will never end. Also known as my preschooler has totally given up napping. Which Veronica Mars Character Are You? Sherlock? Modern Family? I could go on. I don’t know the original source but it’s kinda perfect, no? It’s finally Friday guys! And it’s the last day of the month. This feels like cause for celebration or at the very least a bit of introspection and reflection. So sit down, pour yourself a cuppa’ and let’s talk about what we’ve been into lately – what are you reading? What are you watching? What is making you fangirl hard? 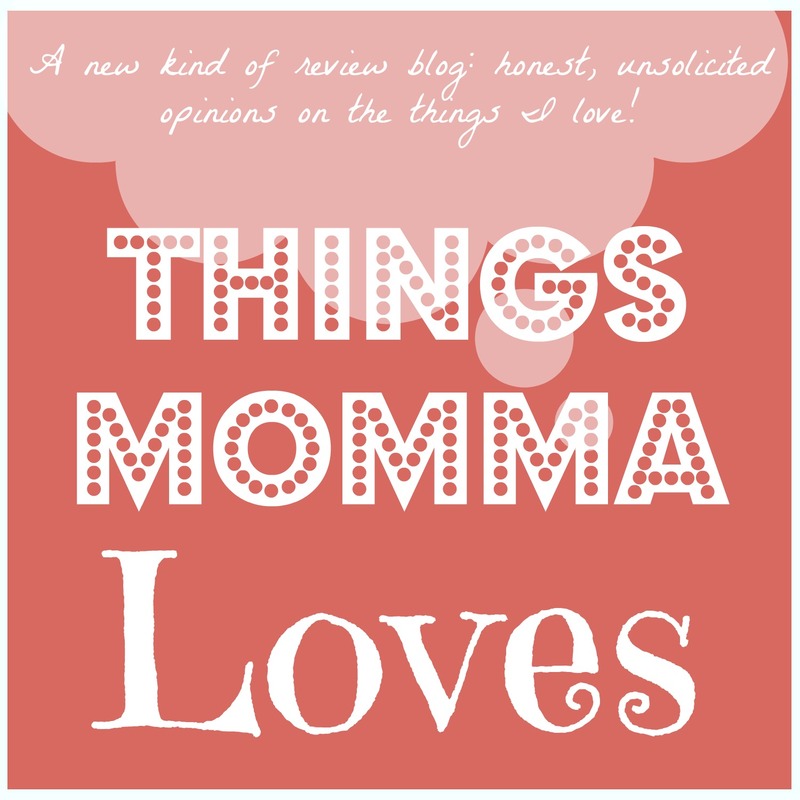 I’m linking up again with the lovely Leigh Kramer to share all those things and more! Witches of East End by Melissa de la Cruz – Finished February 4, 2014 – It’s hard to judge this book fairly having already seen the Lifetime tv show based on the book, however loosely. There are some things about the show I liked better and some things I liked in the book, but having seen the show first I couldn’t help but prefer it. I found the characters on the show to be more fully fleshed out and well rounded and a little more likable to boot, but there were aspects to the book that I found really interesting and I love how it intersected with another of Cruz’s series, the Blue Blood books. The cliff hanger ending has me intrigued to read more, but maybe not right away. The Red Tent by Anita Diamant (February Book Club) – Finished February 17, 2014 – I’m glad I finally took the time to read this book – I started it once years ago and left it unfinished, balking at the complexity of the many stories being told in one book. I think appreciated it now more than I would have back then anyway. This is a fantastic story that touches on a lot of subjects that anyone can relate to – from being a mother to a daughter, a sister, a wife – hardships faced, adapting to new cultures and continually learning to pick up the pieces of our lives and start anew when needed. I think this will be a book that stays with me for a long time. Right now I’m 2/3rds of the way through The Last Word by Lisa Lutz and entering that reading phase where you are torn between the impulse to read frantically until it’s done or maybe savor it so that it will last just a little longer. Which urge will win? Only time will tell! The big one is that we took the kids to see the LEGO Movie and we all loved it even more than we were expecting to. I guess I honestly had no expectations going in at all other than that the previews were cute and my son likes LEGOS a lot (duh) but it was a truly terrific movie and “fun for the whole family” as they say – with a surprise ending that I didn’t see coming and a song that will be stuck in my head forever. We also watched An Extremely Goofy Movie on Netflix which was cute – Goofy’s son Max goes away to college and the Goof takes it pretty hard and of course hilarity ensues, as it does. I’ll admit, it made me cry at least once – but I’m becoming a pretty easy crier so that isn’t saying much. So American Idol is back on for Season 13 and I continue to be really pleased with all the changes they’ve made and how the contestants have done and how awesome Harry is. I wasn’t sure how I felt about the incredibly sped up process of getting to the Top 13 but I think they have cleverly let us get to know the contestants all along without making it too obvious and I’ve already begun to root for a couple of the singers and can see my ideal Top 3 beginning to take shape – Majesty and Alex would definitely be in there for me right now, how about you? Anyone else watching Under the Gunn? It’s so interesting to see how each of the mentors approach their role on the show and what it means for each of the contestants. I still much prefer the classic Project Runway, but I am enjoying the show so far. And guys, I’m still totally fangirling over the Shamy kiss on Big Bang Theory? Did anybody else head to the internet to watch it just one more time or was that just me? I really loved this week’s episode, too. Who would think that buying a kitchen table would be that catastrophic? Everyone. Aside from all our other usual television habits (which I won’t name because that would turn into a long, embarrassing paragraph) we’ve been watching the original Star Trek series on Netflix lately along with Parks and Recreation and the last of the classic Doctor Who episodes. We’re all caught up now with everything Netflix Instant has to offer us and stuck waiting until the fall for New Who. Between that and the lack of Sherlock in my life, I’m likely to go into Brit Withdrawals soon. Oh and online I’m still madly loving on Emma Approved and by that I mean Alex Knightly of course. Did anybody else notice him in a commercial on tv recently? I think it was for taco bell but I’m honestly not sure. Apparently I need to stop fast forwarding through those occasionally. Here are a few fun links that I might have shared in a Weekend Links post that I’ll share here instead I don’t have to post twice today. Greek Yogurt Cheesecake with Pomegranate Syrup? Yes please. Is anybody else kind of relieved that it’s finally the weekend? It’s been a long week here with the weather generally ruining every plan I tried to make – which means another long week inside. Silver lining is that I have more great links to share with you guys this week. This bookshelf scavenger hunt looks pretty cool – I might have to spend a lazy morning with this soon. Anyone else wanna play along? Stephen Colbert’s guide to being the perfect dad (via buzzfeed) – love him. Mommy Shorts shared with us some of the most adorable pictures of kids and puppies cuddling, basically ever. Don’t read it if you don’t want a new dog. Sally’s Baking Addiction created a master muffin mix to rule them all and now I desperately need a muffin or fifteen. Hardcovers and Heroines wrote about the whole John Green / Twilight / Twitter thing and she pretty much sums up my thoughts on it perfectly. After you read that, read my review of Fangirl by Rainbow Rowell. Okay lastly, how long has it been since you watched a Pomplamoose video? A few months? Last week? Five minutes ago? Pompla-what? TOO LONG. We’re halfway through February which means it’s Valentine’s Day (yay!!) and it’s apparently MM’s 100th day of 2nd grade (yay!!) and perhaps even more exciting: it’s time to share with you some mini book reviews of what I’ve been reading since last month – twitter style (double triple crazy yays!!! right?). I’m linking up with Anne of Modern Mrs. Darcy and her monthly Twitterature roundup. Since last month I’ve finished four books, which for me is a really big deal so if you want to applaud and throw flowers, I won’t mind. Really. Not your grandma’s beauty pageant is an understatement. Perhaps trying to do too much, but still a fascinating and fun read. Neil Gaiman at his best. A super fun book to read out loud to the kids. Terrific illustrations. The whole family loved it. If you’ve seen Sherlock and think you know this story: think again. Doyle’s first Sherlock Holmes novel – definitely worth a read. Kinda liked the Lifetime show better, but still plowed through it obsessively. De la Cruz for Grownups. Loved the Blue Bloods crossover. We’ve finally finished Hollywood Week of American Idol‘s 13th season and I can kinda start to tell everyone apart now. It’s tough when there are still THIRTY contestants, but the producers have done a good job highlighting the front runners throughout the auditions and Hollywood Week to the point where I think we all knew who was getting in for the most part even before they told us the results. After watching this week’s Hollywood Results, I tried to think about who I liked at this stage – whose albums I would consider buying, who I think has that natural star appeal (and who is trying way too hard to seem like they do) and who seems like they could go the distance. I’ve been very wrong in the past – but I’ve also championed my share of winners in these shows and I like to look back and see at what point I noticed my eventual favorites. So for the sake of posterity (or because I have a bad memory and need to write this down now before I forget) – here are my ten favorites at this point – the 5 girls and 5 guys that caught my attention in a good way. Kenzie Hall – Her performances seem to be hit or miss, according to the judges – but I took notice of her singer songwriter take on a Macklemore song that really brought to mind the amazing Rebecca Loebe who once semi-recently covered a Kanye West song that continues to be one of my favorite things ever (and yes I know a lot of you don’t know who I am talking about, that’s okay – I’ll forgive you if you go check out her music immediately because seriously, AMAZING… Okay, finished? Let’s move on). Has this been done before? This take a rap song and turn it on it’s nose because you are a tiny white girl? Yes of course – but she did it WELL and now I want to hear what else she can do immediately. Austin Wolfe – She is fantastic. I’ve loved her since her initial audition and continue to be a fan. She has that charismatic something that I think will make her very marketable and a voice to back it up. Jessica Meuse – She has a great, edgy voice that is going to make the judges talk about Janis Joplin a bunch and her pink streaks are super cute. Another that I loved from the beginning – but cautiously because the drama whirlwind that surrounded her in Hollywood Week has left a somewhat bitter taste in my mouth. Hopefully none of that follows her to the live shows. Majesty York – Seriously, it’s like her parents just KNEW when she was born that this child was going places and I could almost hate on her for that except that I really like her, and she has such a strong voice. I like when nice people are talented. Bria Anai is another amazing voice with a wacky personality. Her lipstick can be distracting sometimes but she makes up for it with that voice and you know, the utter dorkiness. I like dorks. Maurice Townsend – He is so charismatic – I think I could watch him all day AND he can sing, too! How great is that? Loved him since his audition, continue to love. He just seems like the real deal. Malcolm Allen is another great voice, and another charismatic kinda guy. I think it’s important that a celebrity can hold an audience’s attention and also that they take the music seriously and so far I think he has both things going for him. Sam Woolf – He is a little sleepy for me personality wise but his final song really touched me and his grandfather seems to think he is the greatest guy everrrrrrr. He is sweet and he has a nice voice and I wouldn’t hate it if he won. Alex Preston – It took awhile but he is growing on me slowly. This sounds really shallow – but his overall look kinda throws me off and makes me want to lock my doors maybe, but I can’t deny that he has a great voice and also that he really seems to love music and I love that in an artist. Musically – in the way that he performs on stage – he reminds me of John Mayer which coming from me is a HUGE compliment. So there’s that. Neco Starr is coincidentally one of the two guys vying for that final coveted spot in the Top 30 and he’s the one who got my vote. I think he is like a young Bruno Mars, in that he has a similar kind of stage presence and swagger. I’m not sure if he’s up to snuff vocally compared to some of the other contestants but I see potential and definitely want to hear more from him. Who are your favorites so far? Are you a speed reader? Find out now! How fast can you read? 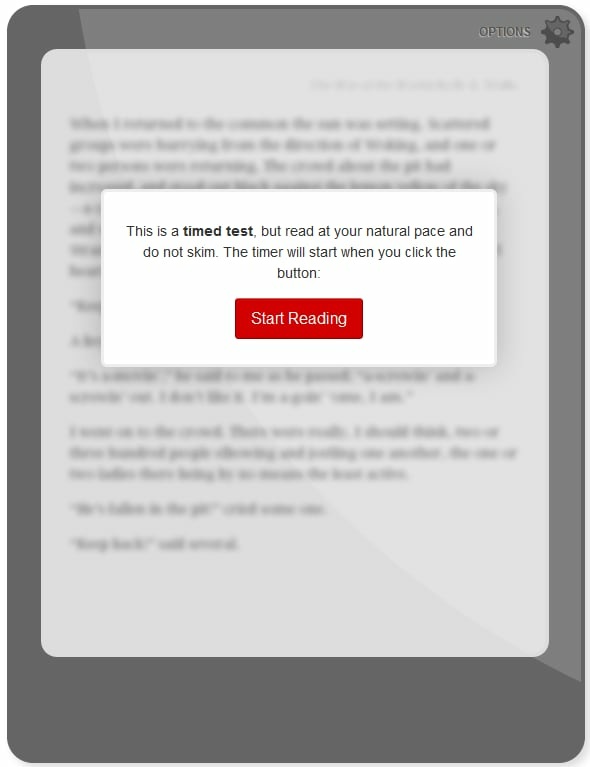 Take this short speed reader test designed by the folks at Staples and see how you compare to the average person – and how fast you could read War and Peace! Turns out I’m only a 10% faster reader than the average adult, only mildly faster than your average 8th grader and quite a bit slower than a college student or a speed reader. I’m actually totally okay with this – I would like to (perhaps naively) think that I’m focusing on quality over quantity, taking the time to actually understand what I am reading and soak it in – and if that means it takes me longer, I guess that’s okay. Also, this probably explains why I get in about 30 books a year reading nearly every night when I know other people who can read 100+ books a year with ease. I’m just slow – or at least slightly above average. I am feeling pretty relieved that it’s Friday today – it’s been a long week of very little motivation and very cranky children (or was that cranky mommies? I’m not sure). My get up and go? Yeah, it definitely got up and went this week. Luckily the internet has been here to entertain me! In Praise of Store-bought Valentines at Parent Hacks – Sometimes we have to remind ourselves that not everything requires us to go above and beyond the call of parenting duty. Sometimes store bought valentines are just fine – especially if you found them in the Target dollar bins! 3 Common Grammar Errors at Huffington Post – What grammar mistake is your biggest pet peeve? Baked French Toast at Annie’s Eats – This is an old post but I just made them again this weekend and the whole family was raving. This is a recipe worth sharing! Famous Books Recreated by Babies at BuzzFeed – In case you need a literary excuse to squeal at the cuteness of babies whose diapers you don’t have to clean. You didn’t think I could go a whole post without talking about Benedict Cumberbatch, did you? Amongst my friends, if you talk about Cumberbatch, you must talk about Hiddleston also, just for good measure. Fair is fair, you know. What’s the best thing YOU read online this week? If you mention the name Neil Gaiman in certain circles (namely literary, nerdish, Whovian and the like) you are likely to get a lot of high pitches squeals and gushing about the amazement that is Gaiman. And a lot of girls like him, too. Wanting to raise my kids to be Proper Geeks, I thought it might be time to instill them with a love of Neil Gaiman now – you’ve gotta start them early, you know! And when I got my hands on a copy of Fortunately, The Milk by Neil Gaiman, I knew I’d found just the book to start them off with. If you or your kids like pirates, dinosaurs, aliens, ponies, vampires, cute quirky British families, traveling through time and space, breakfast cereal with milk, well illustrated and funny novels or even just one of those things – this one is a safe bet. I read this in one sitting and knew immediately that I wanted it to be our next Family Read-Aloud. My husband offered to read it last weekend to the kids, but warned them that we might not finish it in one sitting, because it’s 100 pages and they had school in the morning and – yeah, we finished it in one sitting. Partly because there really is no natural breaking point in the story and partly because it was just too funny to put down. My husband is a terrific story teller and he had fun voicing all the different characters and the kids adored the illustrations (though my ever observant hubby would point out that a few of the illustrations don’t quite match up accurately to the story). After we finished reading, I handed the book over to my seven year old so he could read it himself and properly pour over all the illustrations on his own time. There are a lot of illustrations to pore over with a lot of intricate details and as an added bonus, this book is a great vocabulary builder that will be a nice challenge for my advanced reader. It’s not very often that you find a book marketed for 8-12 year olds that the whole family enjoyed. Gaiman throws in a few ponies for the four year old girl set and lots of fun jokes for the parents to chuckle over and all the aliens, vampires, pirates and dinosaurs that a boy (or really any kid) could ask for. This is truly a book that has it all! What are you and your kids reading right now? My reviews are not sponsored and almost never solicited. I write the things I love because I truly want to share them with you. Giving you my authentic opinions that are not marred by a desire to make a company happy or garner more page views is my top priority.